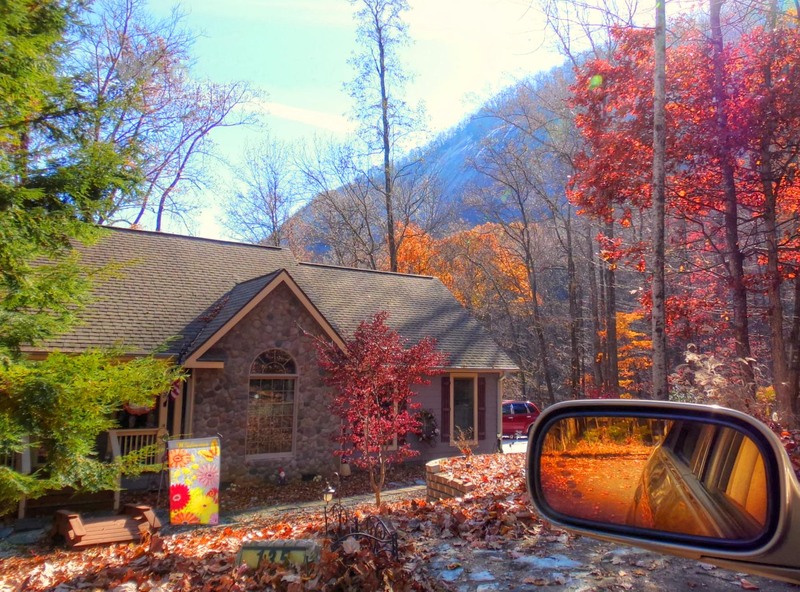 Rising from the northwest shore of scenic Lake Lure is the mountain with two names. Today, it is known as Rumbling Bald Mountain, and its sheer granite face is visible for miles around. 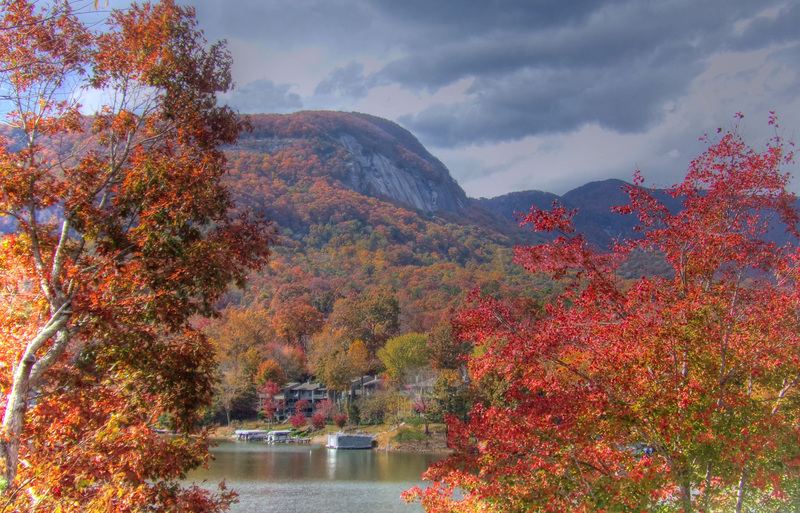 However, before the late 1800’s it was called just Bald Mountain, as were six other mountains throughout western North Carolina, because of the exposed rock face. What caused the change? 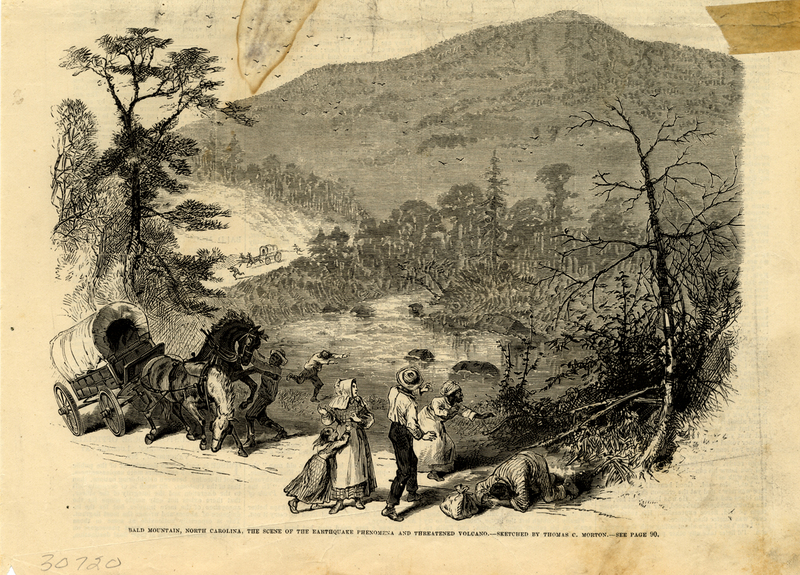 In February, 1874, the mountain began to shake, and periodic tremors were felt in the area for three more months. Although a number of traveling evangelist were convinced that the quakes were warnings from God that men should change their sinning ways, what actually was happening was a series of rock falls inside the mountain where large caverns were believed to be found. It’s possible that a minor earthquake triggered the collapses, which continued in a chain reaction of events. Whatever the cause, thereafter the mountain was differentiated from the other six peaks by the addition of the word, rumbling, in front of the former Bald Mountain. Today, the mountain overlooks a resort of the same name, and private luxury homes are perched precariously along narrow winding roads leading up to the base of the granite face. 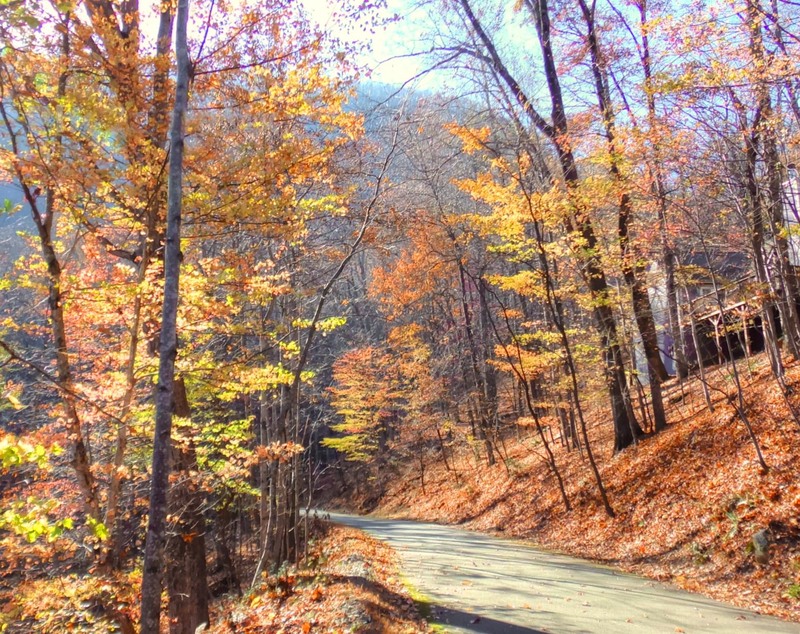 Even in the waning days of November, bright autumn colors can still be found midway up the steep eastern slope. Oak trees reach high into the sky searching for illusive forest light. 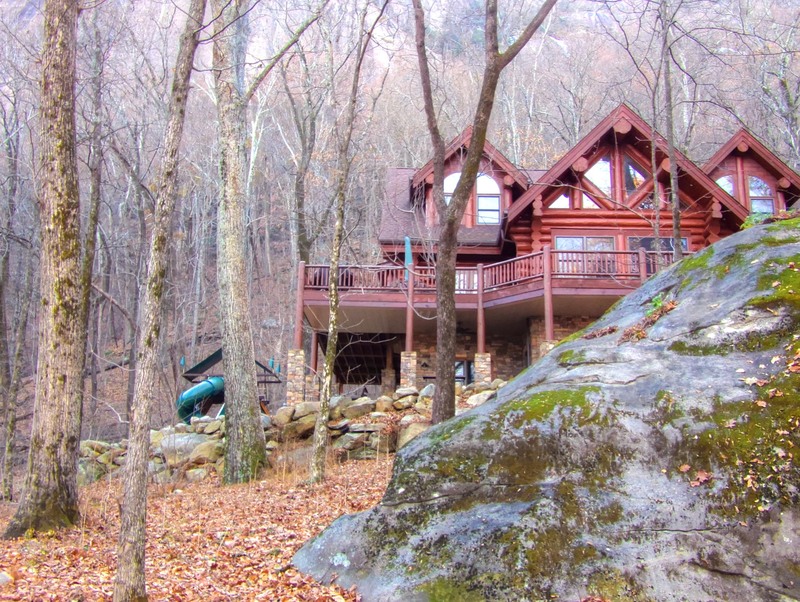 As one nears the bottom of the rocky face, giant boulders dislodged by millenia of freeze and thaw cycles are strewn everywhere, and homes have used them as part of their landscaping. 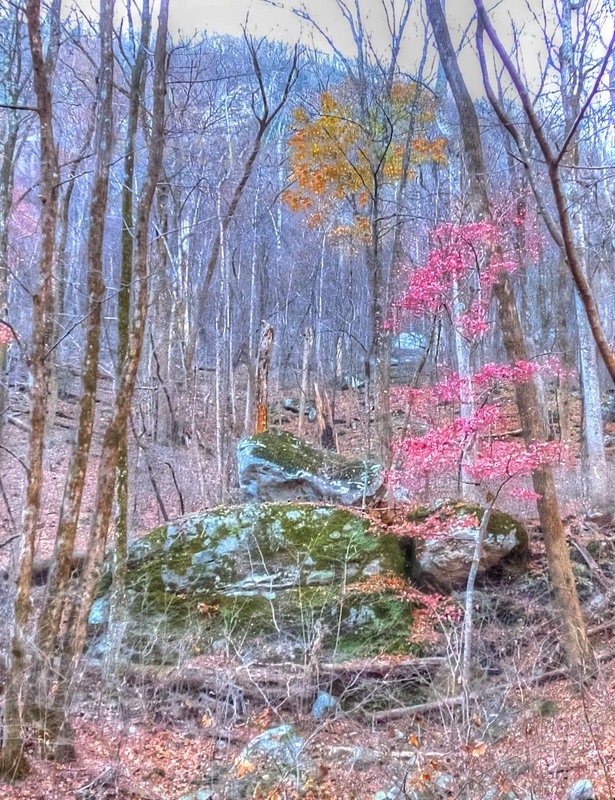 A few years ago, when development threatened to make these monoliths off limits to hikers and rock climbers, a large portion of the slope was purchased by the Carolina Climbers Coalition, to be available to the public in perpetuity. 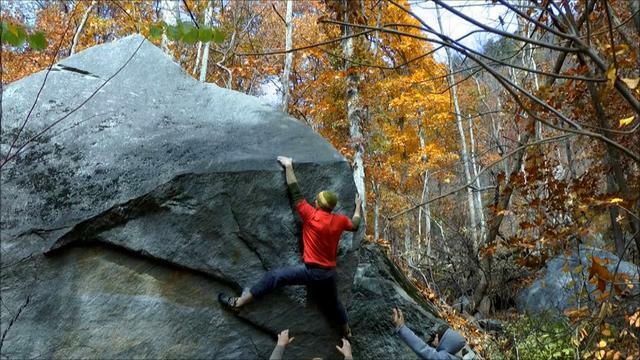 Climbing up and over these huge granite rocks has inspired a discipline known as “Bouldering”. The Rumbling Bald Boulder Field is the second largest of its kind in the entire United States, with as many as 1,400 “problems”, as the rocks are called, scattered along the upper slopes of the mountain. 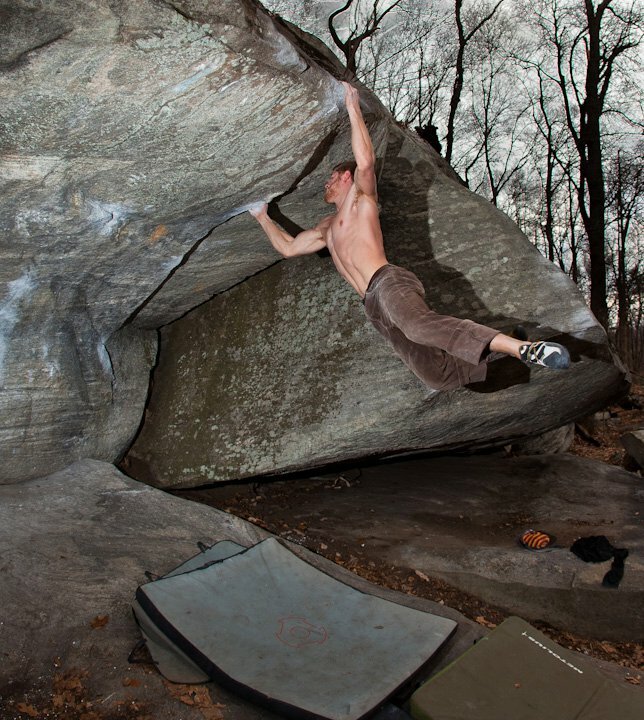 The “Rumbling Bald Bouldering Guide” was published by Chris Dorrity in 2007, and a new revised guide will be available for sale in the Spring of 2015.